According to an enquiry by the ACB, Liansanga benefited the most from the alleged scam and pocketed almost the entire amount of Rs 107 lakhs while Lianchungnunga is accused of pocketing a little over Rs 42,000. 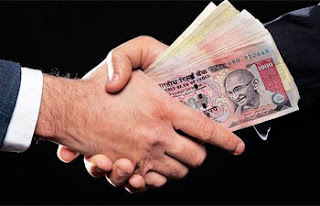 Aizawl, Sep 10 : Mizoram’s Anti-Corruption Bureau has registered criminal and corruption cases in a special anti-corruption court against two top PWD engineers and an accountant for allegedly embezzling Rs 107.67 lakhs from a road improvement project in the state’s northern region. Liansanga (a retired engineer who was the Engineer-in-Chief of the PWD), Lianchungnunga (PHE and Minor Irrigation Secretary and former Chief Engineer of the PWD’s highways division) and Lalthanpuia, a PWD accountant, have been charged under four sections of the Indian Penal Code and three sections of the Prevention of Corruption Act. These include criminal conspiracy, cheating, forgery and misappropriation. If found guilty, the trio face up to seven years behind bars. The accountant has been charged with fabricating documents, forging another official’s signature and cheating a colleague to help cover up the scam. Liansanga has also been accused of abusing his position to allocate less than two-thirds of Rs 696 lakhs meant for various PWD projects by the state government, which received the money from the 12th Finance Commission. The retired engineer is also accused of fabricating records to show 75 kms of a road from from Serkhan village in Mizoram’s Kolasib district to Bagha in south Assam’s Cachar district was re-surfaced while in reality only 19.3 kms was actually re-surfaced. It was because of the condition of this road despite the improvement works that a complaint was submitted to the ACB by a student union leader named Vanlaltlana back in 2011. The complaint led to an investigation and subsequently resulted in the current cases for the trio.